Holy Smokes, Batman! Look Who's 5! Today is a BIG day here! Today is my small man's first day of school. Ever. Though he's been in day care since he was 6 weeks old, this is different. His home day cares felt, like, well, home. This is the first time I will send him off to a classroom environment. Not only that but he also starts a new after school program as well! All of this has me more than a little anxious, but I know my smart, sweet, and social boy will be just fine. Me, probably not so much. Last week we said good bye to his day care provider of 2+ years. She is a wonderful lady and we will miss her! Luckily, thanks to social media, I'll be able to keep in touch with her, but I wanted to do something special for her on our last day. I purchased a gift certificate as well as a lovely flowering plant, and made a card for her. I selected Grow from Saturated Canary as my image. She is colored with Copics and cut using Labels Eight Nestabilities (Spellbinders). Sketch is based on Tuesday Morning Sketches (#264). I'm too late to link it up, but it was a fun layout. I added some extra elements: Fishtail Flags Stax Die-namics, Magnolia View Master Doohickeys, a metal binder clip, Scrabble tiles, a big flower, ruler ribbon, and a notebook edge punch. 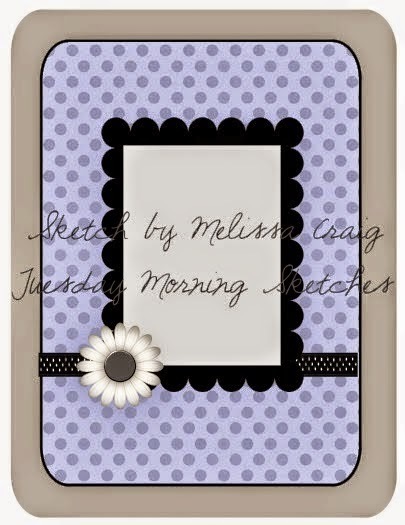 Papers are Basic Grey - Out of Print and We R Memory Keepers - Grandma's Kitchen: Pen Pals. Markers used: Copics (E00, E04, E11, E21, E51, E53, E55, E59, N0, N2, YR00, YR02, YG93, R20, R81, R83, R85, BG10, BG13, BG23). You've already seen the card I made for Kayne that I'll give him before he goes off to school. I also made him an Artist's Trading Card (ATC) for his lunch box. I used another Saturated Canary image: Sweet Boy. I made this with their Facebook group challenge in mind but missed linking that up as well! lol He is cropped/fussy cut and colored with Copics. Papers are DCWV - Grade School stack. On the back is a note from me with some momma love! I know he can't read yet, but he'll recognize my art and maybe one of the teachers will read it to him! Any bets on whether it will make it home in his lunch box or end up in the school trash...? Haha! Markers used: Copics (E00, E04, E11, E21, E51, E55, E57, E59, R02, R20, R35, R37, R39, R89, B32, B34, B37, Y35, YG93). Such a big day for us here! I will be counting down the minutes at work until I can go pick him up! I can't wait to hear all about his first day and the beginning of his new adventure! Great design with wonderful elements, ,great image for our challenge at Robyn's Fetish Challenges,thanks for joining us this week. Before i even mention aboutyoru card...i adore your blog page papers.....oh me the purple is fab.... And your card its just lovely. Regan, I could go on and on about your wonderful cards! Love all the embellishments and your eye for detail. 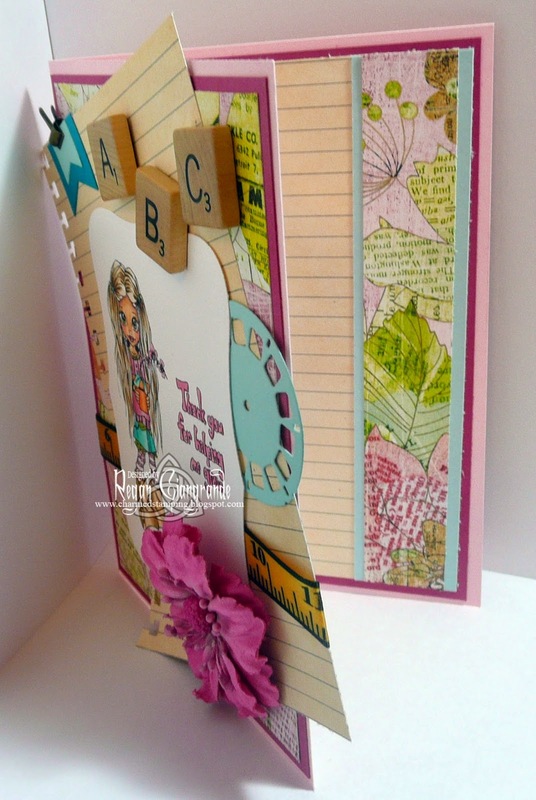 Good luck in our challenge at Paper makeup Stamps! So sweet this card. I love the image and the colouring. Both are adorable.Love the layering and embellies on the first one and the sweet background on the second. Your colouring is fabulous on both. Thanks for joining our Back To School challenge at Craft Your Passion this week. I hope we see you again soon. I also hope that your son's year got off to a great start.